When you smile, you shine. You make other people want to smile back and have a great day. But nothing can ruin your happy smile like gunk on your teeth. Gunk is junk that you don’t need — and it can lead to plaque and other harmful conditions. That’s why your orthodontist has joined EMBRACE IT! — an oral health program designed to help you keep a clean and healthy mouth while you’re wearing braces. Braces play an important role in helping shape what your smile will look like later on. Be sure to protect it with EMBRACE lT! — the oral health program designed just for you! 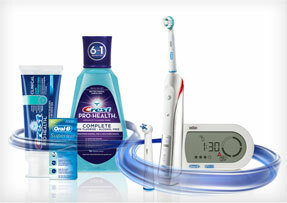 Learn more about Embrace It and Comizio Orthodontics’ exclusive partnership with Oral B- Crest.